First and foremost thank you to our customers who visited the stand at Scaleforum, we were pleased to meet you, and hope you enjoyed the show. 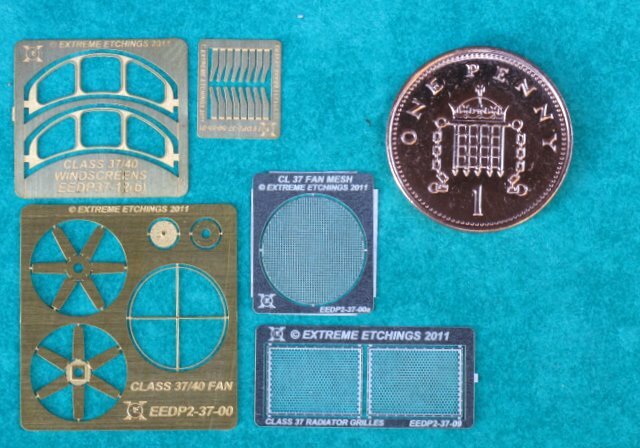 After a test etch and practicality trials we are happy to add to the Extreme Etchings range some new products for 2mm/N gauge scale customers. The following items are designed to fit the latest Bachmann Graham Farish Class 37 locomotive. These items may well fit the previous Class 37 model by Graham Farish and the current Class 40, but we have not done any test fitting to those particular models. If you try them for either of those two models please let us know how you get on. Further 2mm/N gauge products soon to go into development are roof and fan grilles for the Bachmann Graham Farish Class 24, we are also investigating producing an etch for the roof to correct the panel lines. The windows may be suitable for laserglazing, this will be assessed for practicality in due course. If the Class 24 proves practical, then the Dapol Class 121 DMU will also be considered for producing a laserglaze replacement glazing kit. Release dates are yet to be programmed for the Class 24 or Class 121, and will be subject to suitable test results. In test at the moment are two of the popular ready to run 4mm brake van models. Neither the Bachmann GWR/WR Toad (previously Mainline) or the Hornby LMS 20t brake van (Previously Airfix and Dapol) have ever been supplied with glazing. We’ve done our first test cuts and are working on them in anticipation of release in time for the Peterborough show in mid October. This weekend we are at the Manchester show, see the diary for details and we look forward to seeing you there. Today we are please to announce the release of our latest Laserglaze product. Added to the range today and in stock for Model Rail Live this weekend is the Laserglaze replacement windows for the Heljan 4mm class 27. Included in the kits are the headcode and body side windows. Both the drop light and sliding window variants are available as below, and we will add images of the sliding window variant shortly. Hi, just a quick note to let our customers know that we have now been able to resolve our internet access problems and apologise for any inconvenience this has caused. We do however have a backlog of emails that we are working through, on regaining access we had approximately 1,000 to work through which we are doing together with the day to day running of the business. We anticipate being fully up to date within a week. 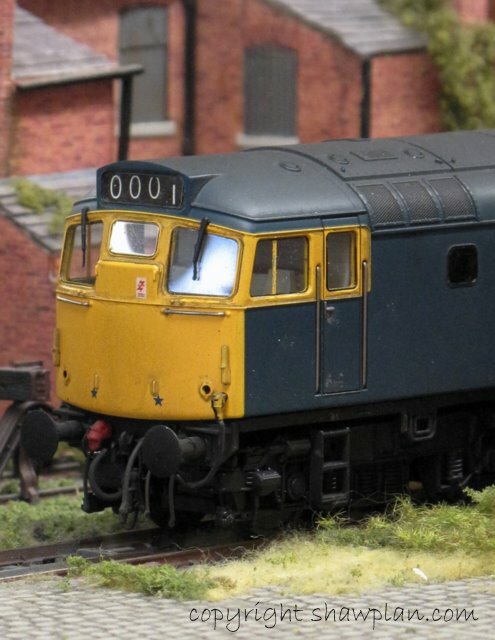 It’s Model Rail Live at Barrow Hill this coming weekend, and we hope to have some new products to announce later this week, so please have another look here on the run up to the weekend. Again many thanks for bearing us with this short disruption, and we look forward to seeing you at Barrow Hill! You are currently browsing the Shawplan's Blog blog archives for September, 2011.